You know what to expect from New York Fashion Week — seven days of glitz and glam, furs and fun, stilettos and… chipped manicures. Ripped hems. Limp hair. All those non-emergency emergencies that can mean the difference between Posen and posing without confidence. Image courtesy of Guerlain Spa in the Towers of the Waldorf Astoria New York. There’s a reason they call this gal “Mean Christine.” Ms. Chin’s procedures focus on intense extractions and microdermabrasion, leaving skin blotchy and red. Schedule your appointment one to two days before an event, but prepare to leave with every pore and blemish banished. I won’t lie to you — this Los Angeles transplant doesn’t deliver the long lasting results of a facial. It does, however, have one key benefit: Speed. You’ll be out the door in only ten minutes with skin that’s sparkling and clean. Stay uptown with Guerlain’s Beauty Lift Facial. The unique treatment exercises facial exercises to plump and tighten. (Think of it like SoulCycle for your face.) According to many clients, results can last more than a week — ideal for extended events and vacations. Image courtesy of DryBar NYC. 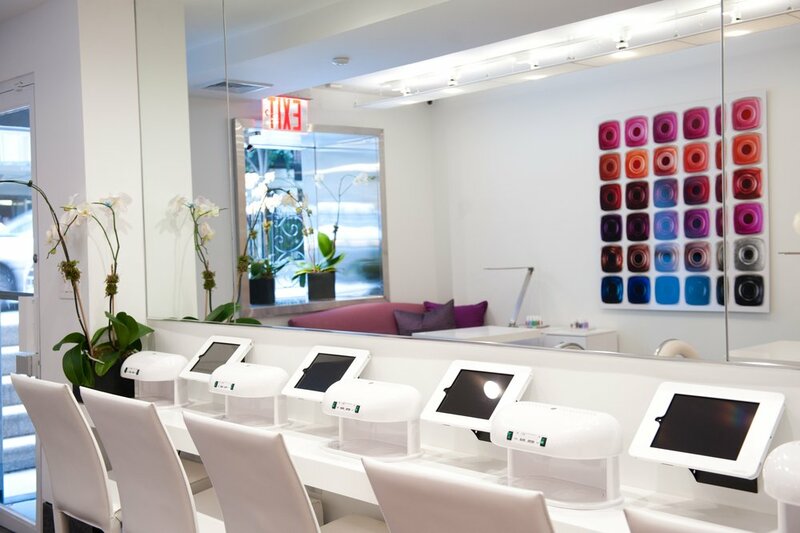 SoHo’s favorite blowdry bar feels more intimate than any of its branded counterparts, and delivers the best results in the city. My favorite part? Appointments take 30 minutes or less. Located in the luxurious depths of Bergdorf Goodman, Barrett’s braids start at $50. The results, however, are worth the cost. You’ll leave looking like a high fashion Heidi. There is only woman woman in this city who I’ll let touch my eyebrows, and her name is Nicole Cayot. Long the star of Soho’s Benefit location, Cayot recently opened her an in-home eyebrow service. Just shoot her an email at Nickyinc26@gmail.com, and prepare to be amazed. Much of the goal during Fashion Week is to find those far and infrequent moments when you can rest. Use this trusty app to get a makeup artists delivered straight to your room. Results are undisputably average, but you can’t beat convenience. Chances are, these fashion-favored tailors will be working with designers. But don’t worry — they’ve never failed on a same day alteration. Image courtesy of Samuel Shriqui Salon. 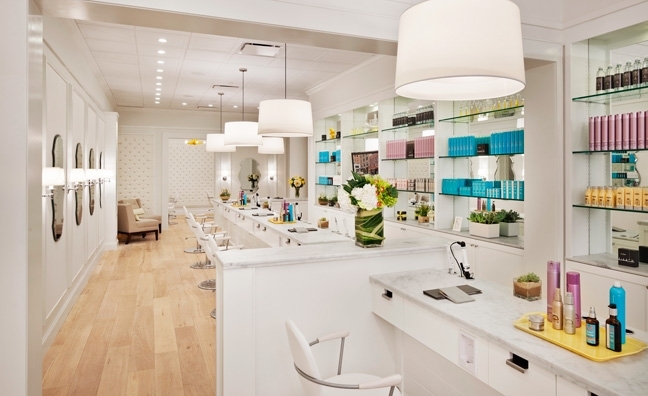 Located in a swanky salon, this is the world’s first Essie Flagship. It’s well worth the added cost — manicures start at $32 — and will last throughout the week’s activities. This Midtown standby is known to have the best waxing services in town, but their manicures also surpass expectations — especially in a neighborhood where most beauty options are less than appealing. With a focus on natural, organic products, Hortus’ signature mani/pedi is well worth a trip to the Lower East Side — perfect for anyone staying in Brooklyn. Indulge in a two hour massage, or drop by for 30 minutes between shows. The therapeutic therapists at this longstanding West Village spa are the best in the city. Need more than a massage, which — let’s face it, who doesn’t during fashion season?The Turkish-inspired baths at Aire in Tribeca provide a comprehensive relaxation regiment. I live in NYC and I totally agree with everything you said. Christine Chin and Dry Bar are two of my favorite places to visit! Cosmetics and its influence show that people who wore makeup were thought of as more confident and much healthier.Wearing makeup is considered the finishing touches in the grooming process, and ranges from light and natural to heavy and dramatic. I love New York! I’ll make sure my next visit this winter, to stop by one of those nail salons, my cuticles get so dry in that cold weather. I love how trendy all these salons are! 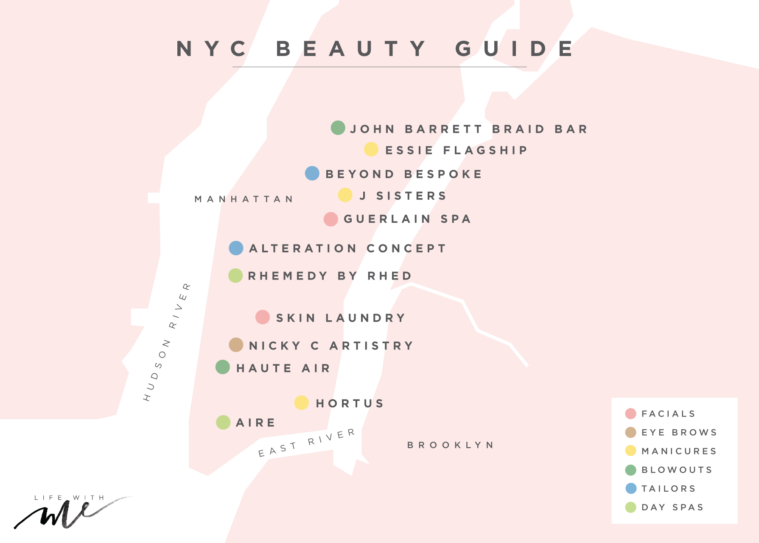 It is so great to get this guide on the different salons in New York! I am going to visit my sister there soon, and I think it would be really fun to look into getting my hair done or get a facial. These all sound really great, but I especially like the sound of getting a facial. I would love to get a facial that lasts a long time and helps my skin feel great for a whole week! Great guide, Beauty Spa is the best thing for me. Man, there’s a lot to beauty services. My wife was asking for a gift certificate for a beauty salon. I’m honestly pretty clueless on what to look for. This article has been helpful though. Thanks for listing out all the possible products to watch for.